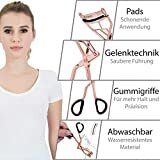 STABLE BAR - pinches with carbonsteal double bars prevent bending and generate sufficient pressure to achieve the perfect result. 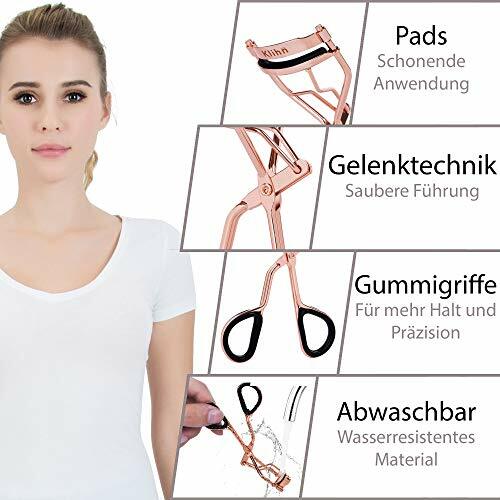 Removable rubber loops, placed at the handles of the tool guarantee hold and precession. 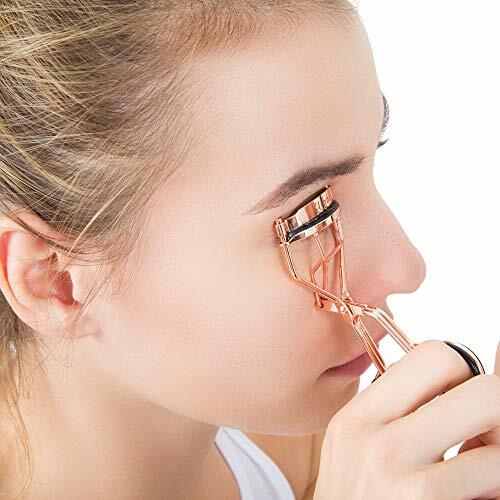 Which woman doesn't wish for long and thick eyelashes with the perfect curl? 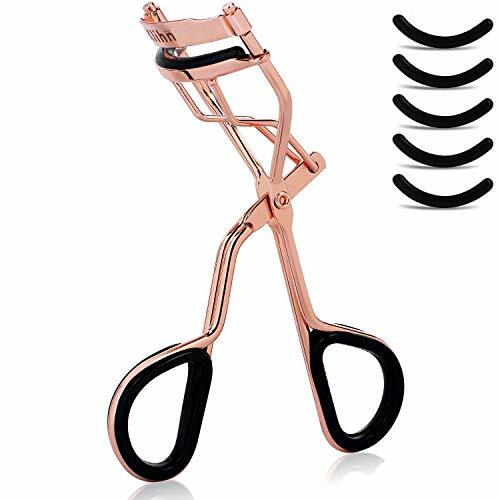 Whoever wants to empower their naturally shaped lashes can resort to a very usefull aid - the eyelash curler, also called lash pincher. 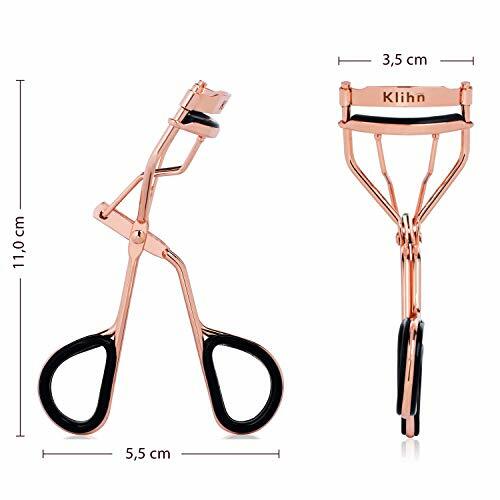 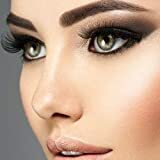 By purchasing the Klihn eyelash curler, you obtain a broadly tested and refined product, which convinces by its exclusive design and quality. The fact that the bars are made of carbonsteal allows you to apply the required pressure without bending the tool. 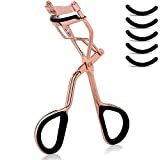 The soft rubber padding rest allows gentle application to the lashes and a beautiful eyelash curl.